All work is guaranteed to be much cheaper than BT – so call me first! and is therefore your responsibility to repair if it develops a fault? is due to the wiring on your property you will be faced with very high call out charges. This is where Landline Telecom can help………….. It is a common misconception that if there is an issue with your landline that you have to contact BT….. This is not so. You can save a lot of money by using Landline Telecom who can tell if the fault is down to your service provider or in your own wiring. If it is the service provider’s responsibility they will arrange for Openreach to repair the fault free of charge. You may have messy wiring or a noisy phone line, your phones may not be ringing properly and you may be missing important calls, your broadband may be slow or keep dropping out…. If the problem is due to your own wiring then I can locate and repair the fault at around half the price you would pay to BT / Openreach or I can prove if your broadband provider is at fault and help to get your broadband service improved. Don’t waste money and time installing cheap DIY telephone extension kits. These can often slow down your broadband speed and can look messy if wiring is run round door frames and along skirting boards round the house. 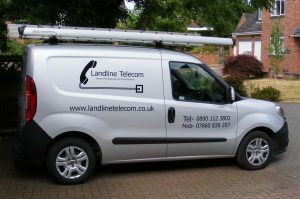 Landline Telecom will provide a professional installation, running cable outside where possible that will be totally compatible with your broadband and at a very competitive price. You may need extra phone points in your home or business, a new point for your router, or a network point for your Smart TV or IP phone. 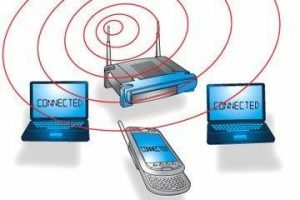 You may be having problems with Wifi or need help with extending Wi-Fi around the home, office or outbuildings. What About Your Business Needs? Extra phone or network points for your router or PC etc? Office move around – need phone points re-locating? Need a new business phone system installing? Need extra phone points on your existing business system? No problem – I am here to help.